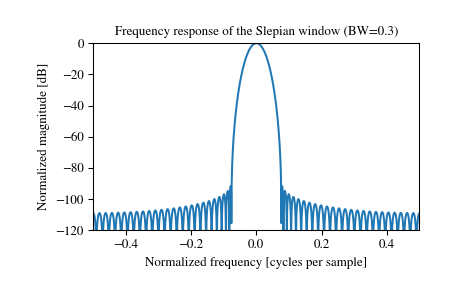 Return a digital Slepian (DPSS) window. Used to maximize the energy concentration in the main lobe. Also called the digital prolate spheroidal sequence (DPSS). 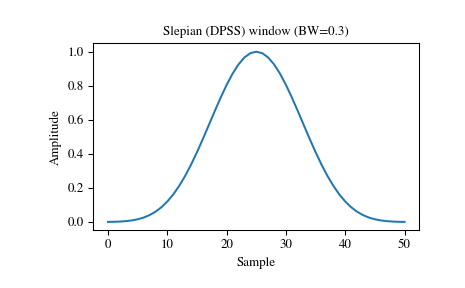 Deprecated in SciPy 1.1. slepian will be removed in a future version of SciPy, it is replaced by dpss, which uses the standard definition of a digital Slepian window.